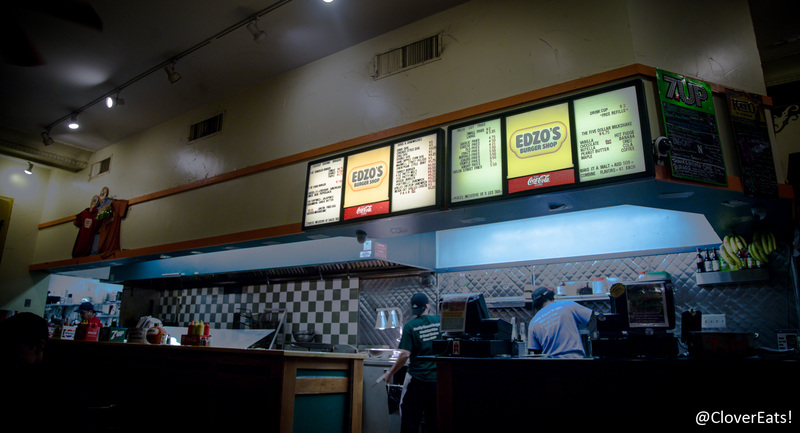 CloverChows: Edzo’s in Evanston | Clover Eats! Sharing restaurant experiences through photography! 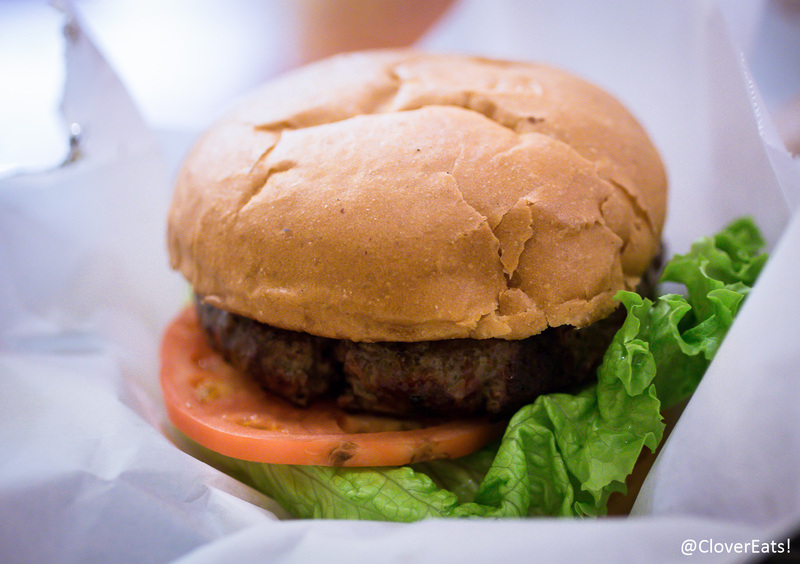 Roaring in at 400+ reviews on Yelp, Edzo’s was one of my favorite burger joints in Evanston. It’s always a little strange to revisit a place that you lived in, to see the changes (that restaurant is new!) and to return to favorites (here, Edzo’s). 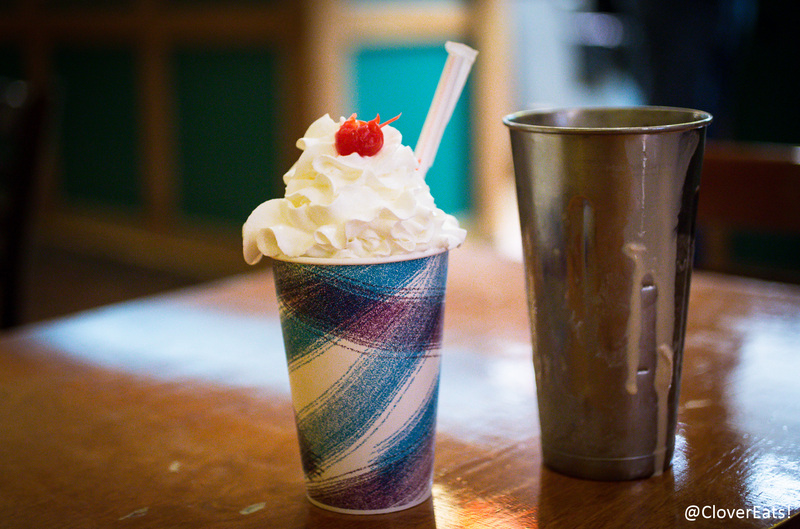 They’ve won tons of awards for their burgers and milkshakes, with good reason. 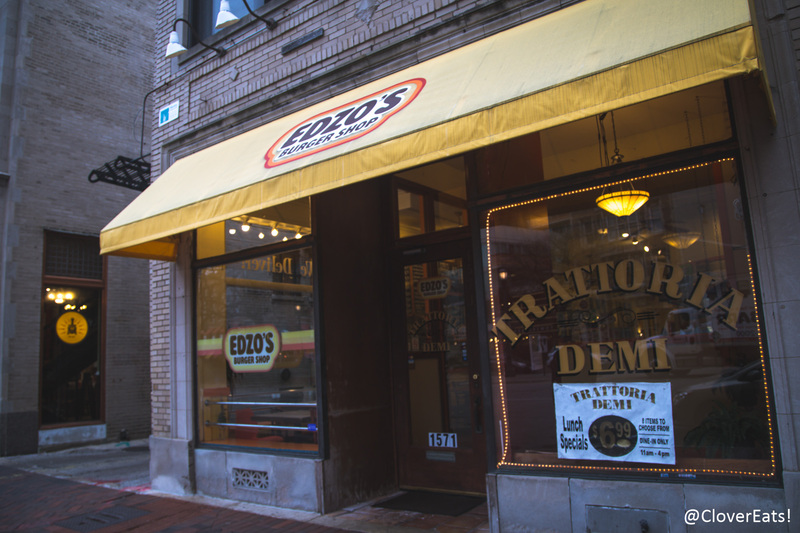 There’s normally a line that goes out the door to Edzo’s, but I went in the dead of afternoon, and so was lucky enough to not have to wait long. I was happy to see that where they used to only be open for lunch, they are now open for dinner. 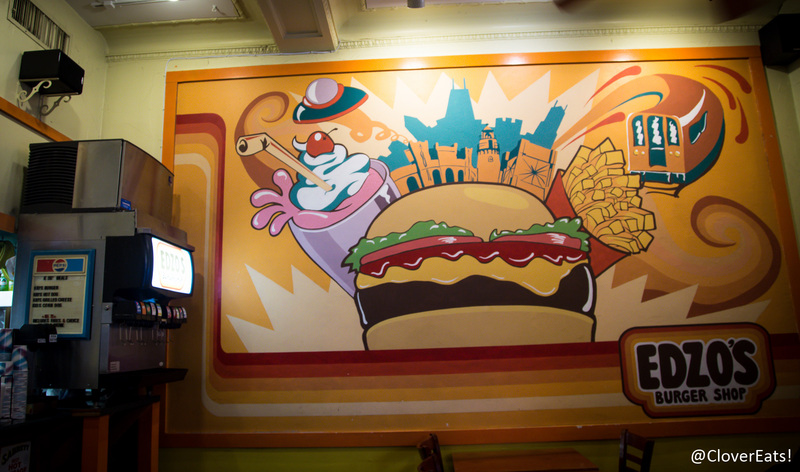 There are several things I love about Edzo’s. 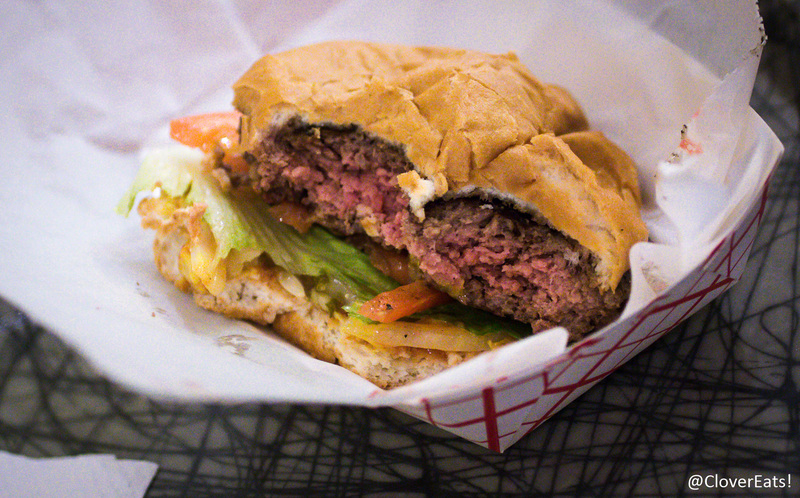 First, they have the option to upgrade your burger meat to special humanely-raised, grass-fed animal meat. My friends have done blinded taste tests of these and swear you can taste the difference. 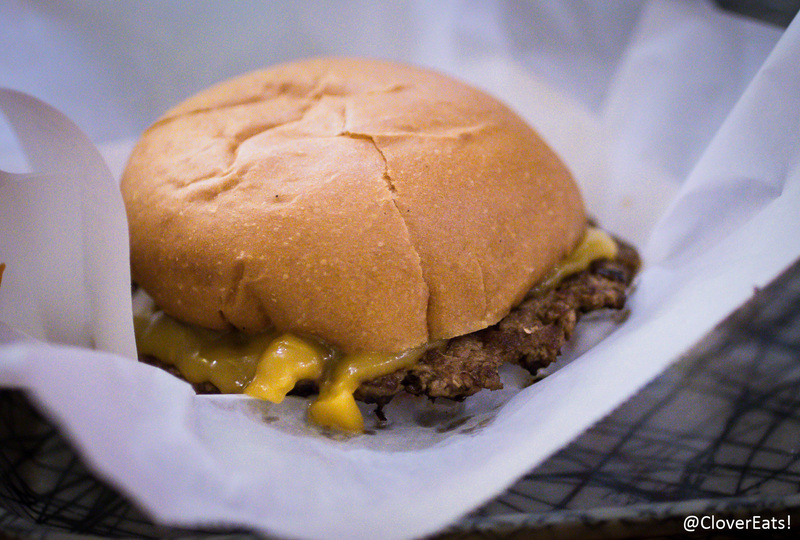 They offer a thin griddle burger that comes in 4oz patties and a thicker char burger that’s 8oz. They have a “Five Dollar Milkshake” that comes in Nutella flavor. How can you compete with that? The milkshake is actually overflowing, so they serve you the metal cup it was mixed in, so that you can have the full five dollar experience. They also have amazing truffle fries. Other things that I have not tried personally but have heard raves about include their five onion fries, lobster fries, and garlic fries. Edzo’s reminds me of my free, undergrad days. It was nice to visit and see that they remain as delicious as ever. Check them out on Yelp or at their website. 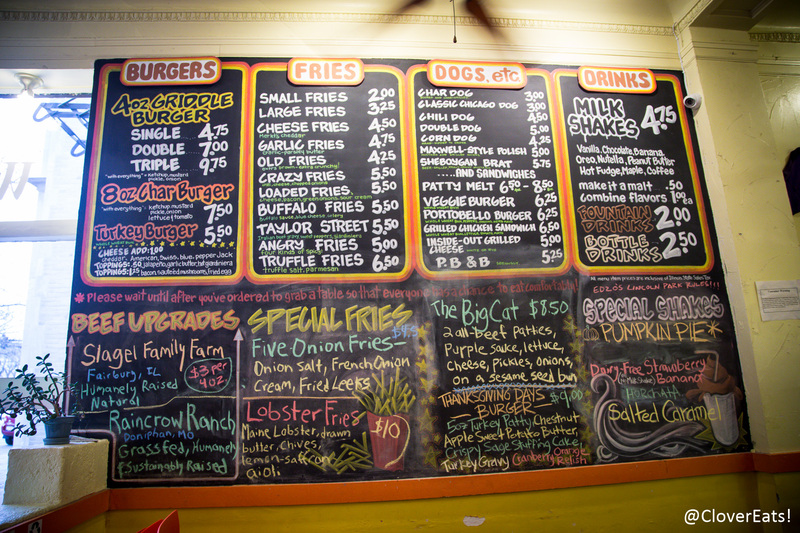 Exploring restaurants in Ann Arbor, Chicagoland, New Haven, and elsewhere.